Opposition leader claims coalition is in the midst of a crisis. 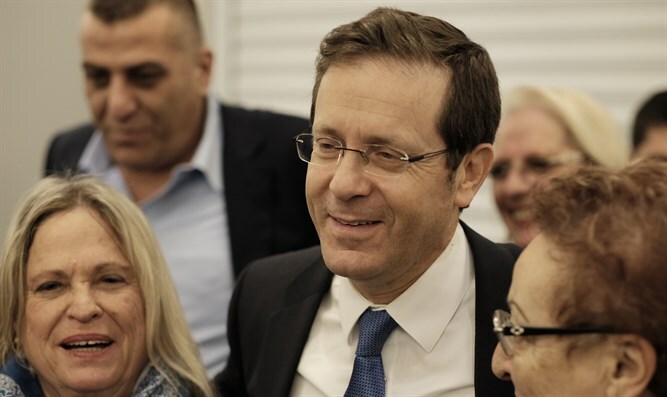 Opposition leader Yitzhak Herzog (Zionist Union) predicted on Saturday that there would be elections in Israel within one year. Herzog further claimed that while Prime Minister Binyamin Netanyahu was recently in China, an alternative coalition was formed. “It started with the confrontation with Kahlon. Anyone who saw Moshe Kahlon's face and heard his voice after the incident understands that even Moshe Kahlon is fed up,” he said. Herzog just recentlty announced that "in the last few days I am working on building a Zionist, centrist, rational bloc which will replace Netanyahu after elections or in the present Knesset. I suggest to skeptics and cynics from outside and inside [the party] to wait and see. The unexpected in Israeli politics is far more prevalent than the expected." This week, Herzog and Interior Minister Aryeh Deri (Shas) had an exchange on Twitter, during which Deri called on Herzog to join the coalition, to which Herzog responded that Deri and Shas should join an alternative government that he will form. Recent polls have suggested that, should elections be held today, the Zionist Union would plummet and lose at least half of its seats. Netanyahu would easily win another term as Prime Minister, according to the polls.